Craig Venter is scientist/entrepreneur and founded the J. Craig Venter Institute (JCVI), a not-for-profit genomic research organization that announced in May 2010 they had successfully constructed the first self-replicating, synthetic bacterial cell. Among research projects, Venter and his team are delving into the possibility of "faxing" Martian biology back to Earth. If scientists do find life on Mars, it may be possible to beam Martian DNA back to Earth, according to a new idea growing in popularity. If Martian bugs are found, the idea of "faxing" life from Mars is an enticing prospect, spurred on by scientist, Craig Venter, famous for his early sequencing of the human genome. 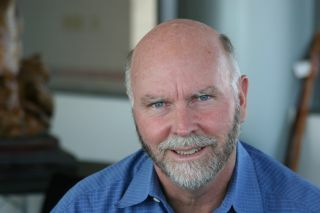 Founded by Venter, the J. Craig Venter Institute (JCVI) in San Diego and Rockville, Md., is home to some 250 scientists and staff with expertise in human and evolutionary biology, genetics, bioinformatics/informatics, information technology, high-throughput DNA sequencing, genomic and environmental policy research, and public education in science and science policy. In the field with Lynn Rothschild, an evolutionary biologist-astrobiologist-synthetic biologist at NASA's Ames Research Center. In a "beam me up Scotty" society, the repercussions of Venter's work to detect and decode DNA could mean searching for, finding, then e-mailing biology, say found on Mars, via a "Digital Biological Converter." That is, build Red Planet life on Earth so scientists can get an extraterrestrial eyeful without turning in travel miles. At first blush, the Venter idea of biological teleportation could decrease "Andromeda Strain" worries by those wanting to haul Mars samples back to Earth, and at great cost? Indeed, one would think the notion could offer a way around an expensive return specimen effort and quell paranoia of nasty creepy crawlers from Mars eating away at Earth's biosphere? Lynn Rothschild, NASA astrobiologist, outlines how to make biomaterials out of thin air, on-the-spot, on-demand printing of advanced biocomposites at recent NASA's Innovative Advanced Concepts (NIAC) program at Stanford University. Not so fast, responded Lynn Rothschild, an evolutionary biologist-astrobiologist-synthetic biologist at NASA's Ames Research Center. "I should think that this would increase the chance of problems since we would be making something that uses the terrestrial operating system — DNA, Earth-based amino acids and so on — which increases the chance of infectivity. Still remote, but there you have it," Rothschild told Space.com. While Rothschild sees the idea of "faxing" life from the Red Planet as clever word-skill marketing, the concept does have life here on Earth. "The idea of going to a computer — asking that DNA be printed by sending off digital information — is what most molecular labs do today when they order DNA from a synthesis company who then makes the DNA based on the inputted sequence," Rothschild said. But think about a potential Martian life form. "If there is life on Mars, the chance that it would even use DNA as the coding material is remote at best," Rothschild said. "And even if it were DNA, it would probably mean there was a very distant relationship. But at this point, the situation is even worse in that even the building blocks for life, that is, organic carbon, have not been found on Mars so the idea of sequencing DNA to 'fax' a Martian is premature at best." On the other hand, the utility of the idea is ripe for use in human space exploration, Rothschild said, with her synthetic biology program research work delving into "faxing" Earth sequences up into space. "That makes complete sense," she said, "and is much more like the example of what people already do in their labs." For example, if an astronaut needed a drug, the information to make the drug could be sent to the astronauts who could then have the instructions printed into DNA, put the DNA in a production cell such as yeast or a bacterium, or even a plant, and have it made that way rather than carrying everything up with them, Rothschild said. Rothschild and her colleagues are hard at work on this idea backed by NASA's Innovative Advanced Concepts (NIAC) program. Carrying drugs onboard an outbound mission "would only add to upmass, not stay stable and have no flexibility if they were sent. Making them off planet, including ones that had been discovered after the astronauts leave, makes perfect sense," Rothschild said. Penny Boston, astrobiologist and search for life on Mars expert. "Seriously, I have some doubts," Boston said. "I think it's a tantalizing idea. But you'd still be stuck with the planetary protection, perhaps in a worse way," she said. "I could imagine if one were capable of doing this, you would somehow find uncorrupted DNA on Mars … and thereby hangs a tale," Boston said. "You would sequence this and then you would record all of that sequence … then send that info to Earth," she told Space.com. Via "magical machines" that we don't have yet, but perhaps someday, Boston said, "we will create that organism. But you are still creating an alien life form. And you still have all of the problems of containing it and studying it." Boston said that "we are still stuck with the need to study the actual organism, whether it's transmitted from Mars or transmitted from across the room." Also weighing in on the Venter scheme is John Rummel, chairman of the Committee on Space Research (COSPAR) Panel on Planetary Protection. Rummel is a former NASA planetary protection officer, as well as a past exobiology program manager and senior scientist for astrobiology at NASA Headquarters. "Clearly the idea of 'faxing' life around is an interesting one," Rummel said, "although one could make a case for not having one's fax number listed … or having the fax machine setup inside a containment facility. But is it anything to worry about with respect to life on Mars?" Rummel said he sees a series of key steps: (1) Find life on Mars. (2) Hope that life on Mars uses DNA/RNA that can be sequenced. (3) Sequence and send it home. Life on Mars: Dead or alive, maybe never started? Billions of dollars have been sent in pursuit of the answer. How best to flesh out the facts may lead to a novel approach of e-mailing back to Earth Martian biology. "Given that item one — find life on Mars — may take awhile, and that getting that community into a useable form for the sequencing of individual organisms would have to follow, I won't be worried about this for quite some time," Rummel said. In fact, the most likely sequence to be sent home from Mars would be one of the organisms that contaminate the spacecraft before it leaves Earth, Rummel said. "Craig Venter's ambition is admirable," saidCassie Conley, NASA's planetary protection officer, "but his proposal is based on the very narrow set of assumptions that Mars life will look exactly like Earth life." It presumes that Mars life will have DNA, and that the Mars DNA can be read and interpreted correctly by Earth cellular machinery, Conley emphasized. Conley said that the biomedical community here on Earth still has a lot of trouble trying to get bacteria to make mammalian proteins correctly. That is, the DNA can be read, Conley said, but a lot of the associated cellular machinery needed to modify mammalian proteins isn't present in bacteria. "If Mars life doesn't even use DNA, or uses a different code, then Venter's idea won't work," Conley said. "It would be like trying to run a computer operating system on the wrong hardware…or open Mac files on a PC," she said. Leonard David has been reporting on the space industry for more than five decades. He is former director of research for the National Commission on Space and is co-author of Buzz Aldrin's new book "Mission to Mars – My Vision for Space Exploration" published by National Geographic. Follow us @Spacedotcom, Facebookand Google+. Original article on Space.com.